The Michigan Department of Natural Resources is seeking input to help shape a new general management plan that will guide the future of Porcupine Mountains Wilderness State Park, located in the western Upper Peninsula's Gogebic and Ontonagon counties. People are invited to share their opinions by March 24 via an online survey. A link to the survey is available at Michigan.gov/Porkies. General management plans are used to define a long-range planning and management strategy that protects the resources of the site while addressing recreation and education needs and opportunities. Public input is a critical component of the planning process. At roughly 60,000 acres, Porcupine Mountains Wilderness State Park is Michigan’s largest state park. It is home to 35,000 acres of old-growth forest (protected from logging by the formation of the park in 1945), roaring waterfalls, miles of rivers and streams, more than 90 miles of hiking trails, 21 miles of Lake Superior shoreline and spectacular sweeping vistas. 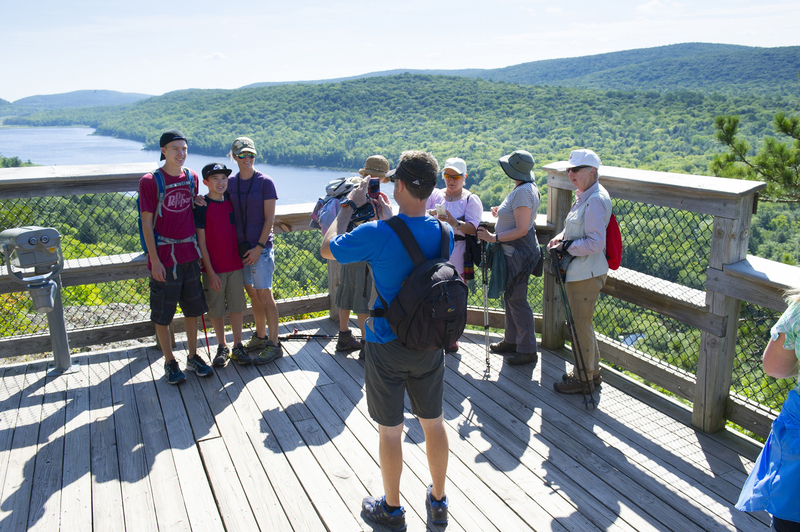 Lake of the Clouds, the Summit Peak observation tower and the scenic Presque Isle River corridor are just a few of the many popular natural attractions. The expansive park acreage offers a range of recreation opportunities, including camping at modern and rustic campsites and cabins, backcountry camping, hiking, cross‐country skiing, disc golfing, hunting, fishing and wildlife and scenic viewing. The Porcupine Mountain Ski Area provides 200 acres of downhill skiing, with 12 runs and a 641-foot vertical drop. The Wilderness Visitor Center offers an exhibit hall featuring natural communities and native wildlife as well as the history of the Porcupine Mountains from prehistoric copper miners to the lumber camps of the early 1900s, a gift shop, information on trail conditions and interpretive programs. 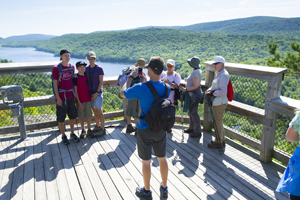 Year-round events and programs are offered by the Friends of the Porkies, a nonprofit organization that provides support to the park. This survey is one of several opportunities to get involved in the planning process. The DNR also will host a public open house later this year, providing an opportunity for review and comment on the draft plan. Additional information on the DNR’s general management plan process is available at Michigan.gov/ParkManagementPlans. For more information about the online survey or the proposed plan, contact DNR park management plan administrator Debbie Jensen at 517-284-6105 (TTY/TDD711 Michigan Relay Center for the hearing impaired) or via email at JensenD1@michigan.gov. LakeOfTheClouds: At roughly 60,000 acres, Porcupine Mountains Wilderness State Park is Michigan’s largest state park. It is home to old-growth forest, roaring waterfalls, miles of rivers and streams, more than 90 miles of hiking trails, the Lake Superior shoreline and more. 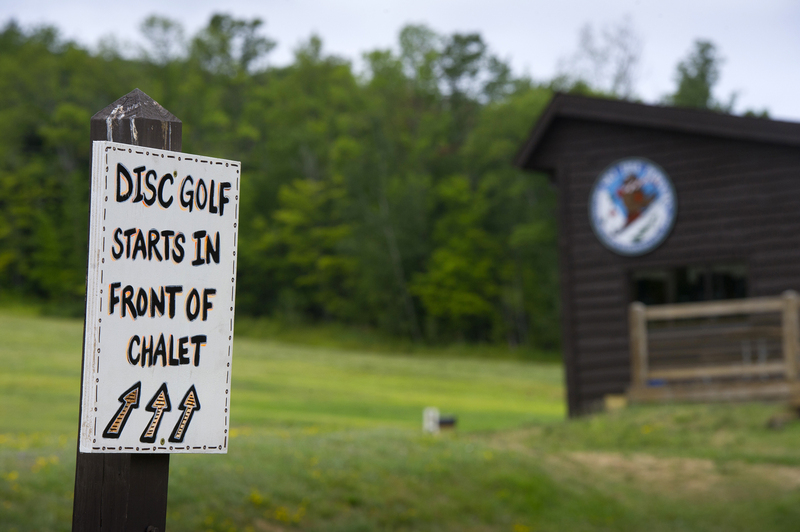 DiscGolf: Porcupine Mountains Wilderness State Park offers a number of outdoor recreation opportunities, including camping, hiking, cross‐country skiing, disc golfing, downhill skiing, hunting, fishing and more. Campers: Porcupine Mountains Wilderness State Park draws in thousands of campers each year. 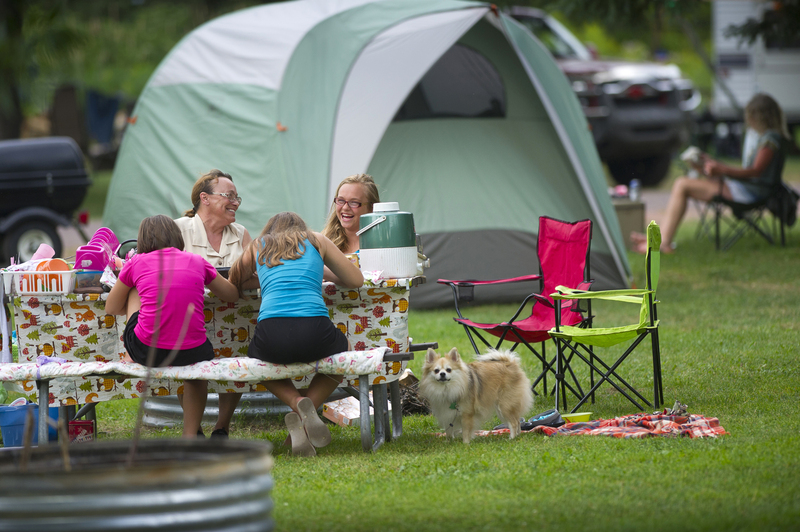 The park is home to a modern and rustic campground, backcountry camping, and an opportunity to rent rustic cabins, yurts and a lodge.